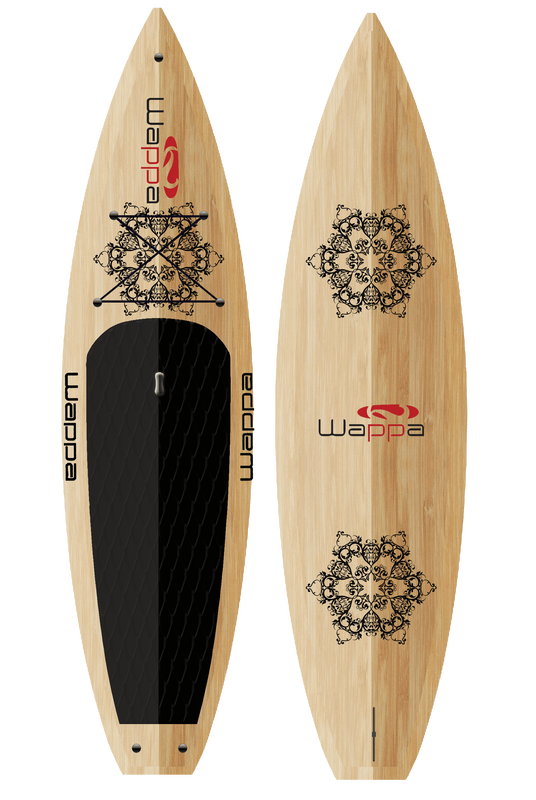 Made with Wappa Bamboo Technology, all Wappa stand up paddle boards are lightweight, strong and naturally beautiful. Our construction process results in stand up paddle boards with an amazing strength to weight ratio. Environmentally friendly. 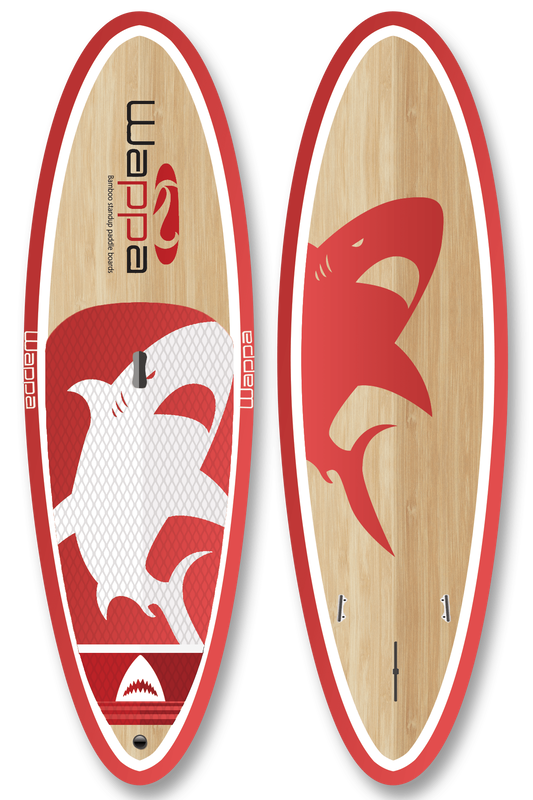 Built with eco-friendly and sustainable materials and produced using green energy, a Wappa bamboo SUP makes a smaller footprint on the environment. Built to last. Better quality materials and superior workmanship lets us be confident in our product. We offer a one (1) year warranty against manufacturer defects. Stable and fast gliding. 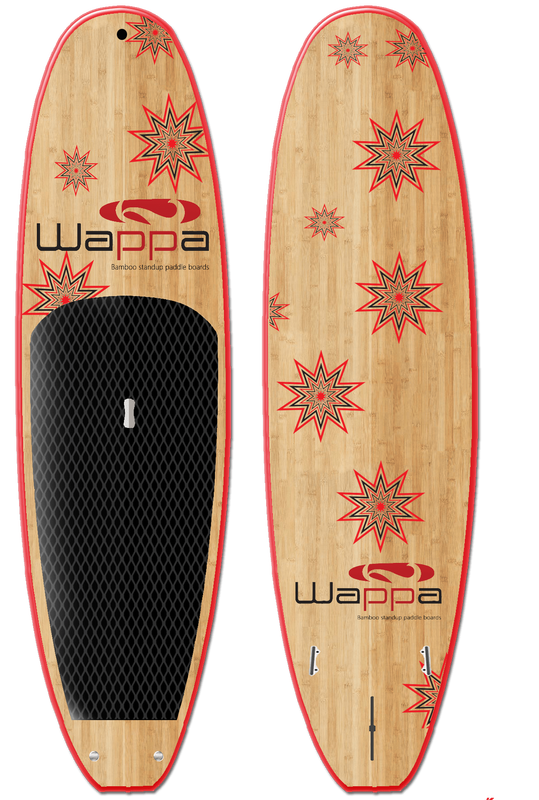 Wappa paddle boards are ideal for everyone from beginner paddlers to seasoned veterans who love to surf. Practical Design Features. Owning a Wappa is so enjoyable. The SUP handle is placed strategically to make the board perfectly balanced while carrying, and it's embedded into the board providing a natural handhold. The hassle free air vent means never having to worry if your board is breathing. Smart Purchase Decision. 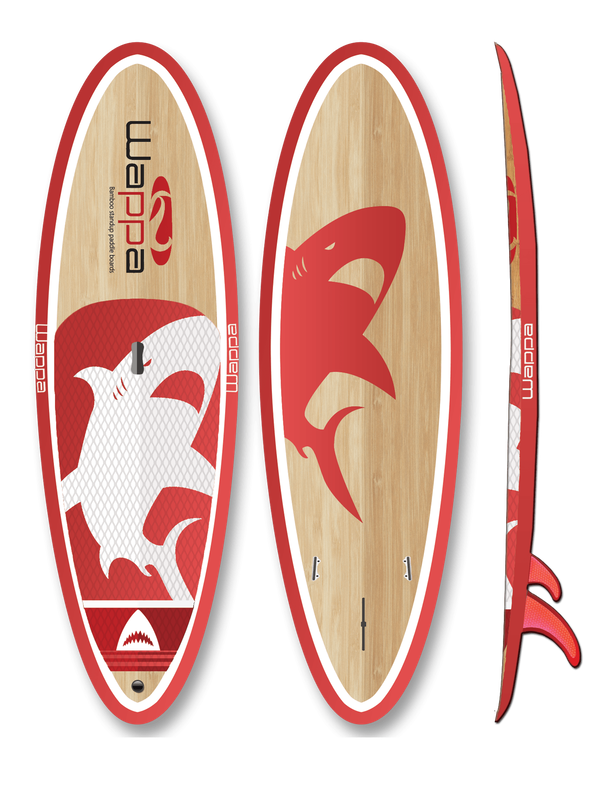 At Wappa, our goal is to build the world’s best bamboo SUP that is low cost, eco-friendly and great quality. We believe that we succeeded! At 36” wide, Olas can accommodate the kids or the dog, yet it performs well in the waves. At 11'4" long, this All Around board holds riders weighing up to 250 lbs. Designed for the ladies, Swirl is easy to paddle and is the cutest SUP on the beach! A fast and stable Touring board that is a flat water machine! Enjoy the naturally luxurious look of real bamboo with this vintage styled SUP. The 33" wide deck feels very stable yet it turns on a dime with ease!